Well, Flirt finally has a sealed up Lazarette again. After fixing a small error in height on the supports, I took the old beaten up ‘glass deck down into the basement and used it as a template. 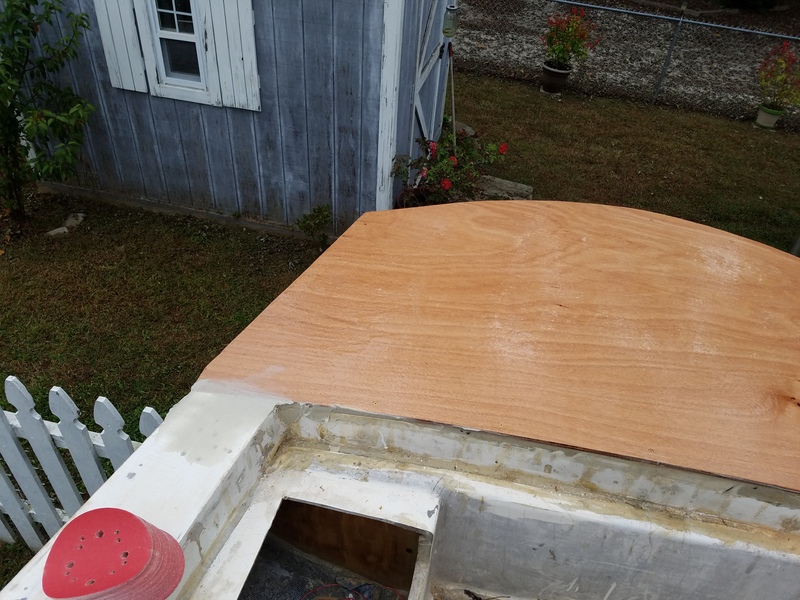 9mm Okoume Plywood should be more than strong enough, especially backed by 4 inch wood supports that crisscross the deck forward and back and back and forth. Once the epoxy is dry, this should be a very strong deck. Of course I then had to do was mix up the epoxy to a really thick peanut butter consistency. Once I had that, I spread it liberally across the deck beams to ensure a good seal and chemical adhesion. 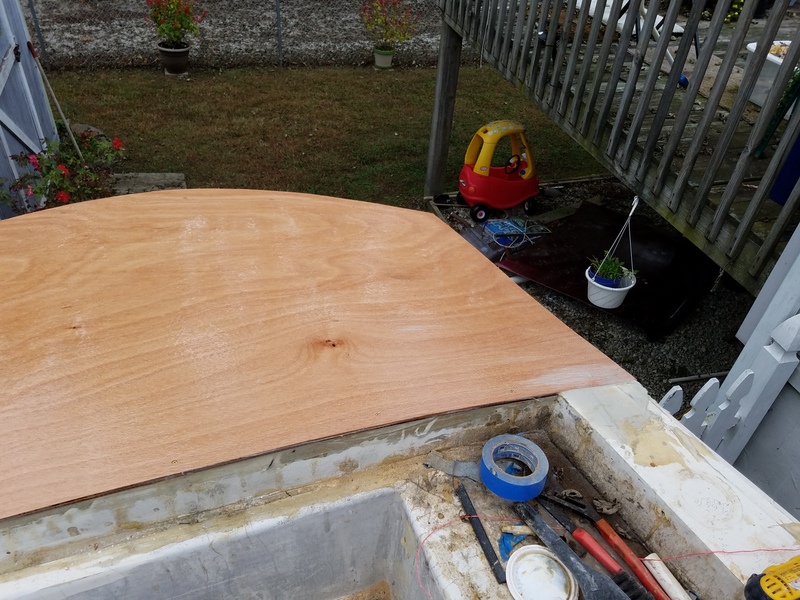 A layer of epoxy on the underside to both prime the ply and protect it and it was time to drop it into place on Lazarette. Screwed down at the edges again, and then two layers of epoxy across the top and I am done until it all hardens. 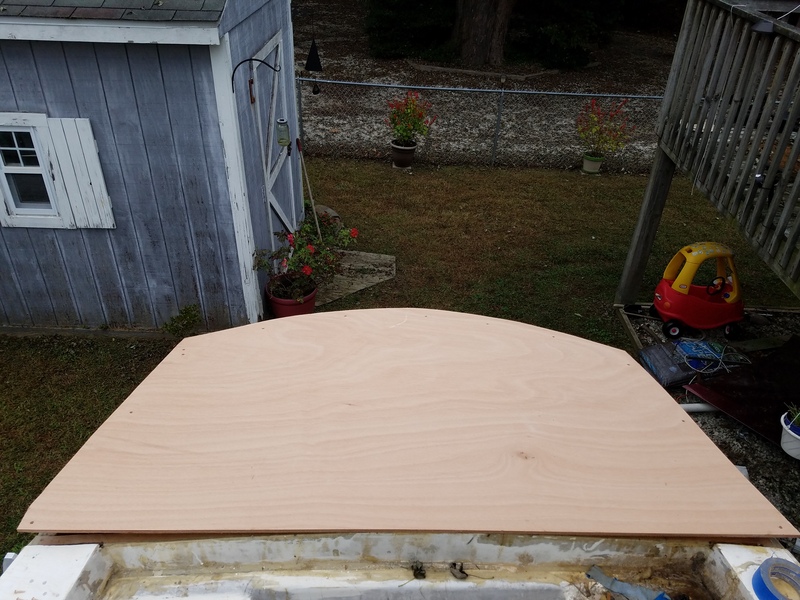 Of course I still need to cut a 16″x16″ hole in it for the hatch, but that can wait for a little bit. The main thing is, the hard work is done and it looks good. 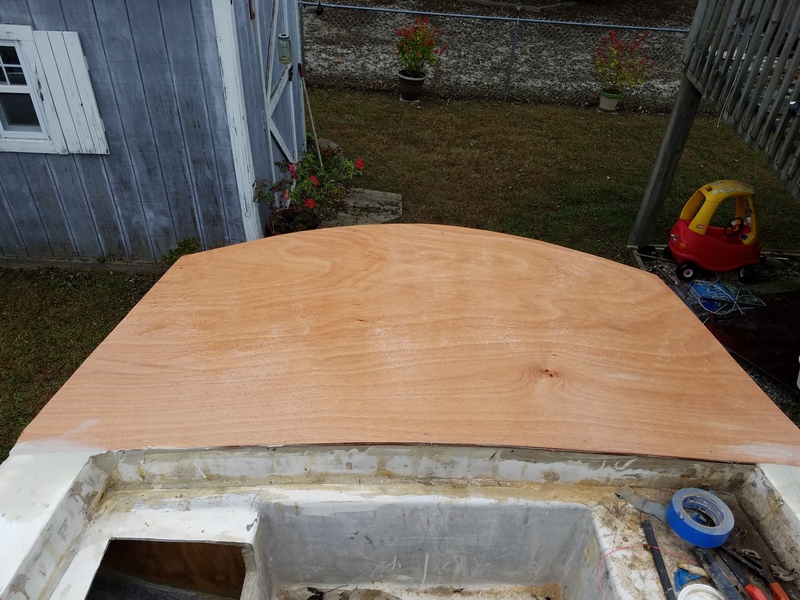 Tomorrow I trim it up and add some more epoxy to the edges where it meets the hull. 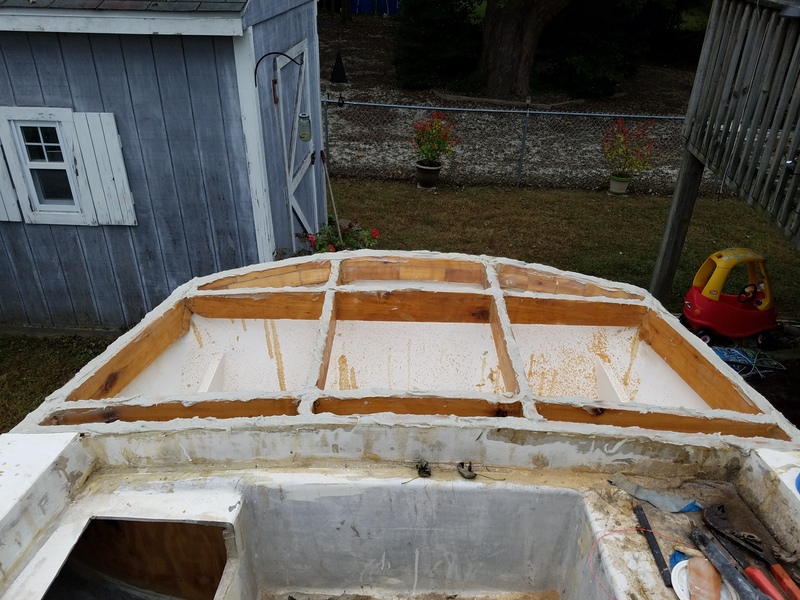 A long time sailor who has been away from the water for too long, I am working hard to bring an old and abused boat back to life. When not working on my boat, I can often be found working as a Stage Hand in Atlantic City or just out and about on my Mountain Bike. I really come off as a quiet and boring person when people first meet me. Next PostFlirt: the prep for paint!